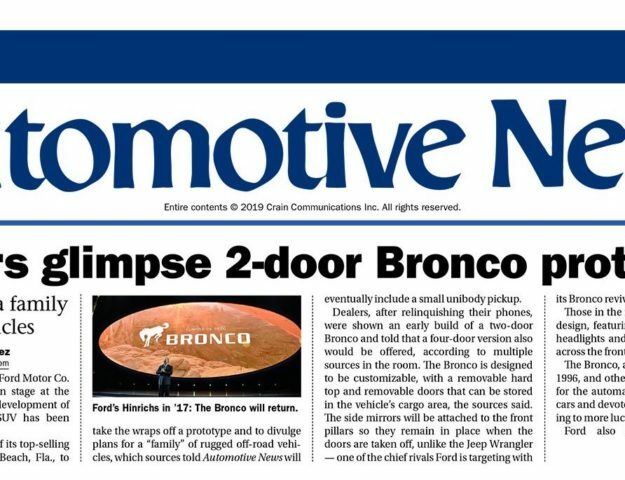 Last week brought a possible first look at the removable door design of the 2021 Bronco, and we may now have a first glance at the design patents for a retractable/removable cloth + mesh soft roof to work in conjunctions with the now confirmed removable top! 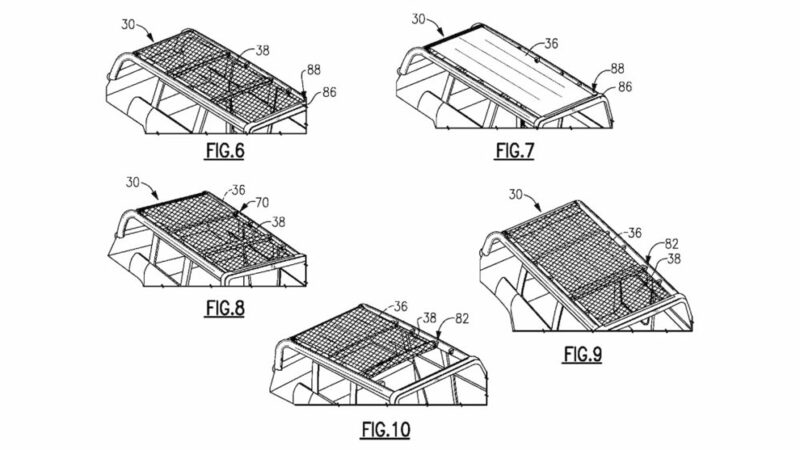 Shown here in a set of Ford patent images recently discovered by MotorTrend is a cloth and mesh soft roof which may be left in place after the hardtop roof is removed. 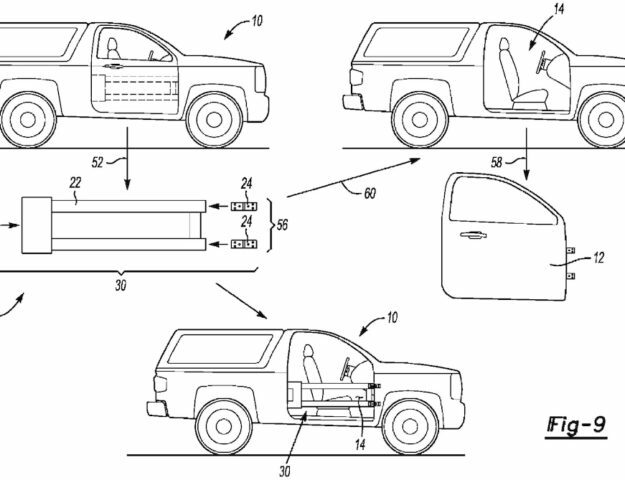 This two-layer soft roof would offer an advantage over Jeep’s soft top in that it allows for use as both a fully covered cloth top or as a mesh top to allow for more light and air into the cabin while still offering sun and wind protection. This top would also be retractable and fully removable and the really innovative part is that it could also be extended past the roof and supported by stakes to form an awning! 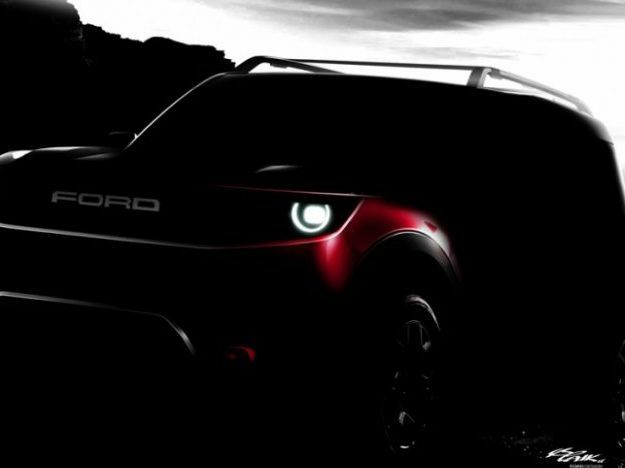 Check out the design and mechanism inside.